Pope John XIII said, ” It is easier for a father to have children than for a children to have a real father”. I believe that no truer words have ever been spoken. If I could judged as achieving any goal in my life, I would like for it to be said at my funeral that I was a good father and grandfather. But, we all learn this profession by following in the footsteps of our own fathers, and that is what is wrong with today’s society. There are simply way too many homes without a father in them. How do sons learn without a role model to follow? So, I would like to take a few minutes to pay tribute to my father who taught me so many of life’s lessons, some of them the hard way. I loved, respected, and yes, feared my Dad. He taught me that any job worth doing was worth doing right. He also instilled in me a work ethic, and a desire to succeed. Pop was a tough task master. When I was about 12 years old, my appendix ruptured, my liver abscessed, and I had gangrene throughout my body. The doctors gave me about a one in one hundred chance of surviving the surgery. How did I get in such bad shape? It was because Pop would not let me stop pulling weeds out of a peanut field just because I was complaining of a stomach ache. In his defense, I had used the old stomach ache trick in the past to escape some unpleasant jobs on the farm. Pop later told me that he would never have forgiven himself had I died. Guess what–I would have had fairly hard feelings about it myself ! My Dad was one of the best wing shots and fishermen I ever knew. He almost never failed to get a double on a quail covey rise, and could tell you whether the birds he shot were mail or female. I, on the other hand, could just see a blur of feathers, and was delighted to just drop a bird. I did become as good of a shot as my Dad, but I never could tell whether I had shot males or females until the dogs retrieved them. I never did become as good of a fisherman as my dad. He always told me that my basic problem with fishing was that I had to be smarter than the fish. I think that he was implying something with this snide comment, but I chose to ignore it. Pop was a visionary. 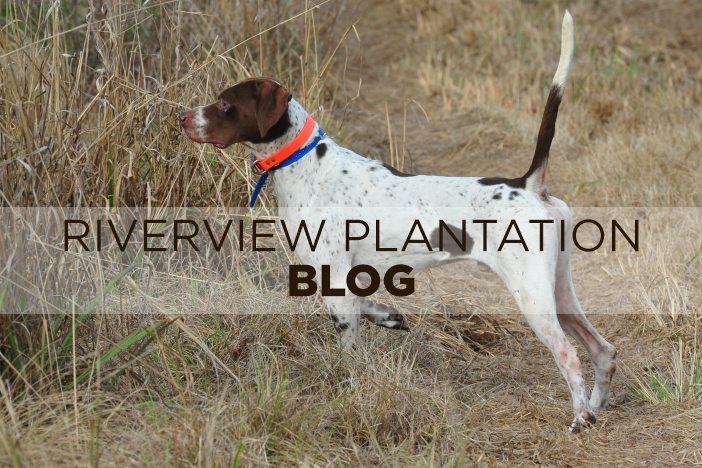 When he and Mom began Riverview Plantation in 1957, we were the pioneers of commercial quail hunting in the south. Most of Dad’s friends just hooted and laughed over the insane idea that people would pay money for what had always been a free privilege in the south. Pop could also look at a raw piece of land, and see the developed potential. He taught me how to do that. Pop was not perfect as none of us are. He battled a problem with alcohol for the better part of his life, but he conquered that demon in 1974, and never took another drink. That proved to me that prayer works, but it works on God’s time rather than mine because I sure prayed for my father to quit drinking for many years before he quit. One of the memories that I will cherish the most was the years that my Dad, my son, and I got to spend together hunting, fishing, and talking about life in general. We would have a cup of coffee together every morning at 7:00 am. That was when I discovered why grandfathers and grandsons are so close to one another–They share a common enemy. Those two would gang up on me unmercifully. I have learned that lesson, and am cultivating Cader B. Cox V even as a two year old. If I am blessed with long life, pay back is going to be a —– for my son, and I can hardly wait. In the meantime, I wish all of you fathers a happy Father’s Day, and I honor and cherish the memories of the fathers who have gone on to be with the Lord!